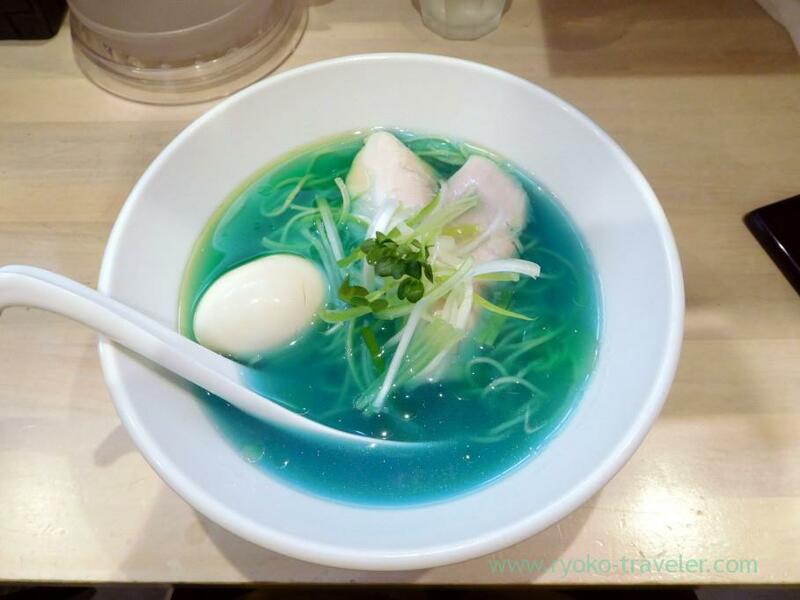 I heard a ramen shop in Oshiage area serve blue ramen. So, I wanted to eat it for a long time. Finally, I visited there. 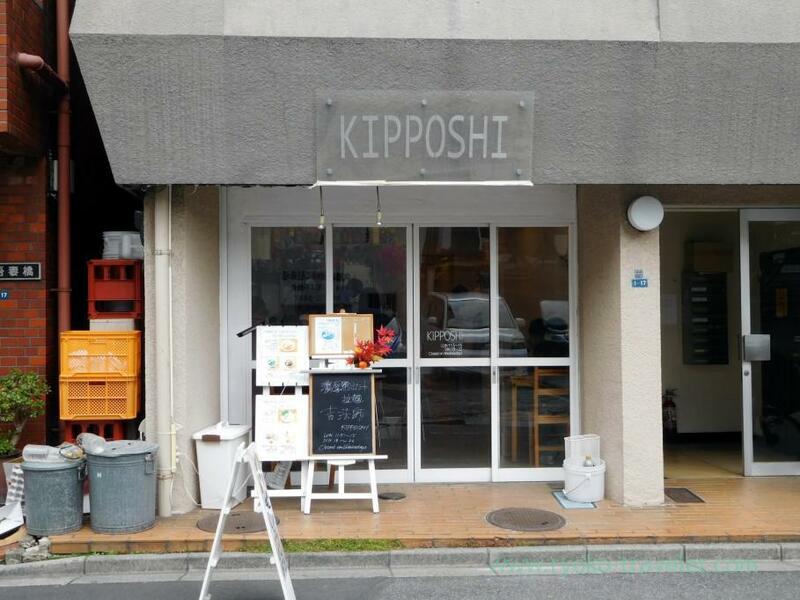 It’s the shop. Its appearance is like cafe and bar. There’re counter seats and two tables in the shop. About 10 seats in all. Their ramen is colorful. Not only blue ramen but also they serve pink-colored ginger ramen and so on. It takes only 3 minutes walk from A2 Gate of Metro Honjo Azumabashi station. And about 15 minutes walk bring you to the shop from Asakusa area. Some people visit there by car because there’s parking lot in front of the shop. This is the blue ramen. Maybe it is only blue ramen on earth. The ramen’s name is Tori Chin-tan AO(鶏清湯 青, 900 yen). 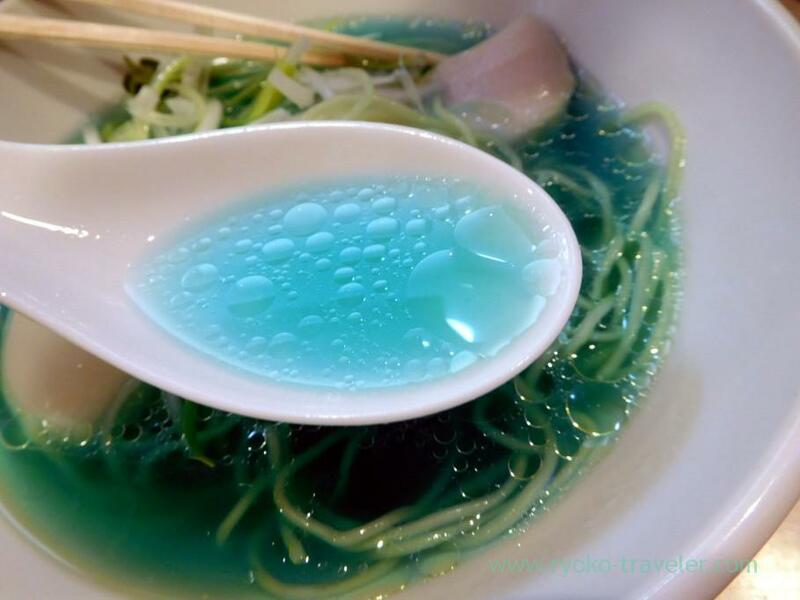 Amazingly blue soup ! 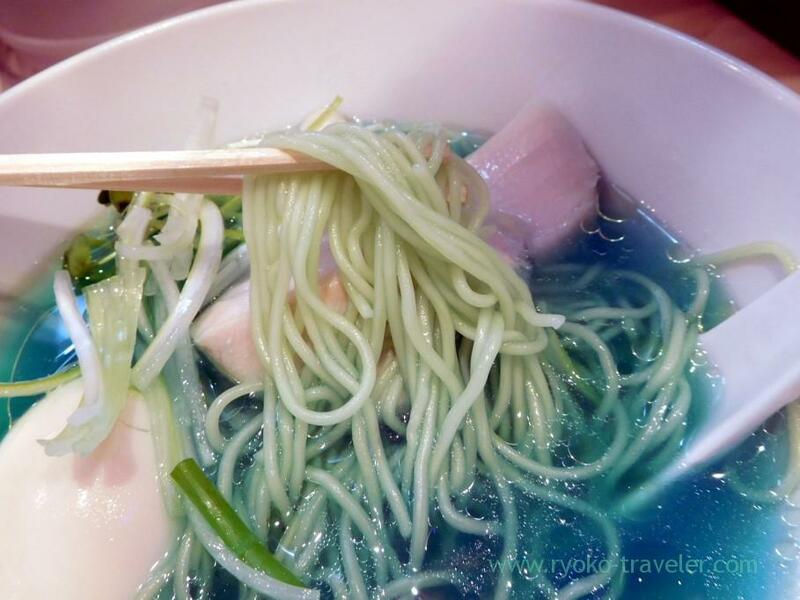 Narrow noodles, thicker slices of chicken, egg, beans sprouts, green onion and blue soup. The noodle is normal one made of flour. But those were dressed with blue soup. So, noodles were blue, too. Of course, egg and chicken, too. You can imagine the tastes of the soup. I think the tastes are quite differ from that you imagined. The soup had plenty of chicken broth and fat. Refreshing and light tastes. The noodle was tough and had abundant flavor of the flour. By the way, The reason of blue is their top secret. But I heard they don’t use artificial colorants. 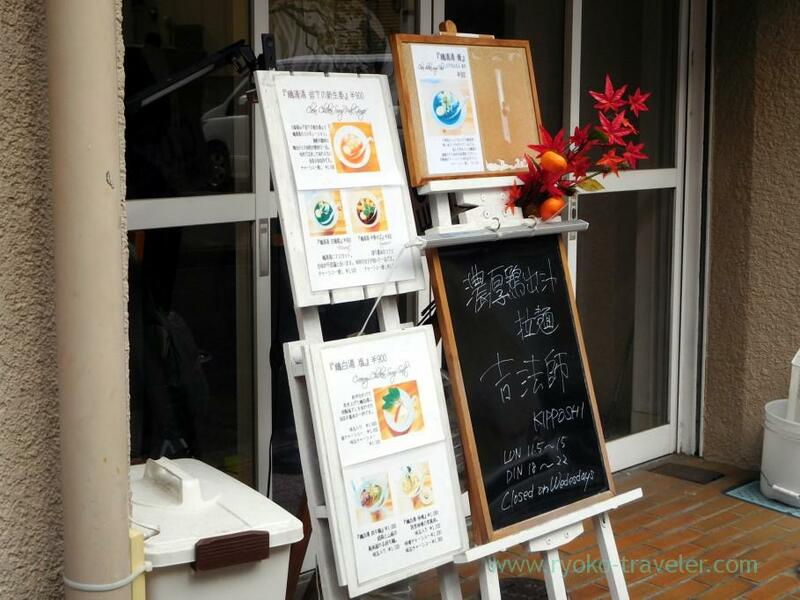 Another they sometime serve fruits ramen. When I visited there, a man next to me ate peach ramen. I want to try it, too. Now they are located in Honjo Adumabashi, but they have decided to move to Shibuya in December.The location is already decided. I think such an instagrammable ramen must be popular in Shibuya ! It will move to Shibuya in December. Open / 11:05 a.m. – 3 p.m., 6 p.m. – 10 p.m.